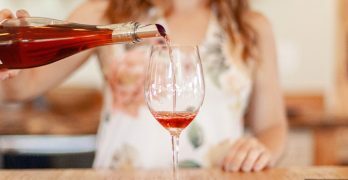 (Santa Clarita, CA) – This spring, San Diego, Ventura and Santa Cruz’s beloved Tequila & Taco Music Festival will be making its way to debut in sunny Santa Clarita on the weekend of May 10th and 11th, 2019. The festival will feature exclusive tequila sampling exclusively on Saturday, with entertainment, good eats and other libations for guests 21 and up available throughout the festival. Ticket holders will have access to delicious gourmet street tacos, craft beers, margarita booths, art vendors and live music on both Friday and Saturday, as well as a huge Kids Zone on Saturday. Among those performing will be the one and only Vanilla Ice, headlining the festival’s 90’s stage on Friday evening. Performing at the festival on both Friday and Saturday will be Cumbia and Spanish-language rock outfit Adelaide, whose electrifying performances have become Disneyland’s resident Latin dance and rock representatives, with others to be announced. Saturday’s entertainment will be lead by reggae/Soca/Caribbean music allstars Upstream, joined by top-tier Bruno Mars tribute group Bruno & the Hooligans. Confirmed brands participating in the festival’s Saturday-exclusive tequila tasting include: Los Vecinos Del Campo Mezcal; Corazon Tequila; The Bloody Cure; Puente-Internacional; Dulce Vida Spirits; Casa Madana Mezcal; and Sazerac – with many more to be announced in the coming weeks. While there will be no tequila tasting for Friday’s festivities, a wide array of delicious margaritas and other beverages will be available for purchase. 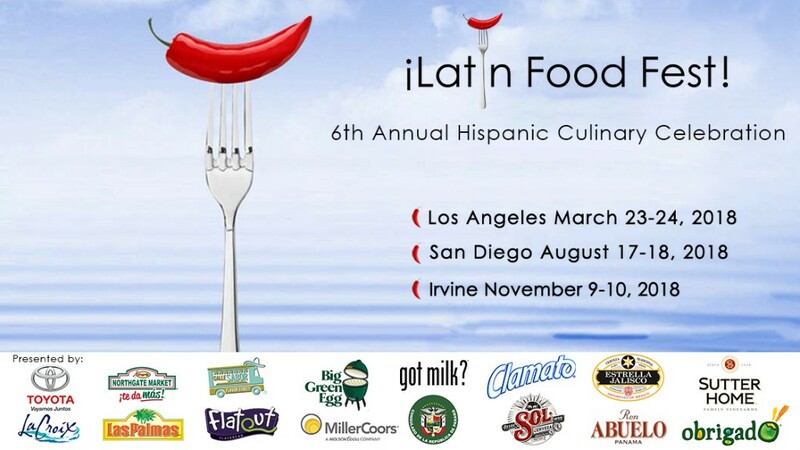 Additionally, attendees can expect to enjoy delicious gourmet street tacos from a variety of food vendors, to be announced in the coming weeks. The Tequila & Taco Music Festival will take place on Friday, May 10, 2019 from 4:00 P.M. to 10:00 P.M. and Sunday, May 11, 2019 from 11:30 A.M. to 6:00 P.M. Saturday tequila sampling tickets are $40, and the tasting takes place from 11:30 A.M. to 3:30 P.M. There is no tequila tasting on Friday. General admission tickets are $15 per individual Friday and $10 per Saturday ticket. Children ages 10 and under are free with a ticketed adult on Friday, and children ages 12 and under are free with a ticketed adult on Saturday. 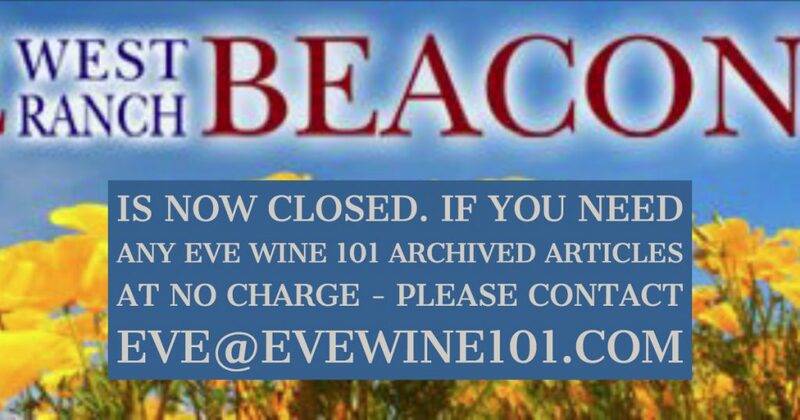 Individuals must be 21 years of age or older with a valid ID to consume alcohol. Tickets will also be sold at the door while supplies last. For more information, please visit http://tequilaandtacomusicfestival.com/santaclarita. New York, New York (PRWEB) – Diplomático Rum proudly announces a top nomination for Wine Enthusiast’s Wine Star Award as Spirit Brand of the Year. Recognized as one of the finest rums in the world, Diplomático holds the DOC Rum certification from Venezuela and has become one of the international standards when speaking of premium and super premium rums. The Wine Star Awards are considered one of the most prestigious awards in the alcoholic beverage industry, and Diplomático Rum is honored to be recognized in the awards’ only spirits category. 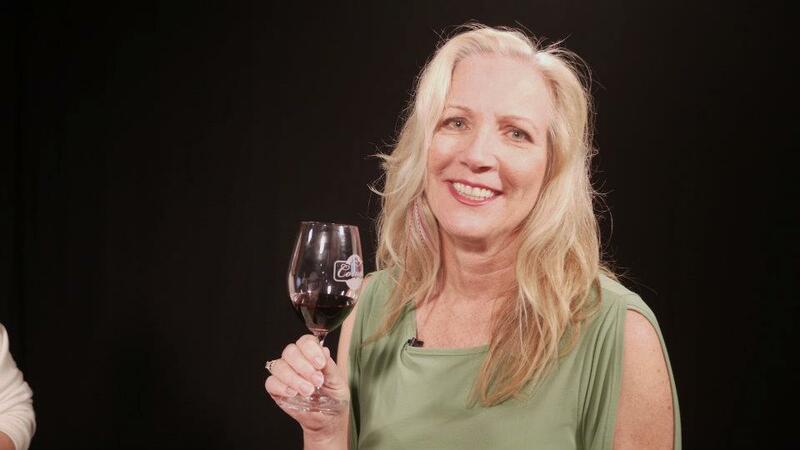 Each year, the editors of Wine Enthusiast honor the individuals and companies that have made outstanding achievements in the wine and beverage world. This year, the awards will take place on January 29 in Miami at the Nobu Eden Roc Hotel. Diplomático Rum’s nomination is recognized in good company; the other nominees include Bruichladdich, Del Maguey Single Village Mezcal, Jefferson’s Bourbon and Luxardo. 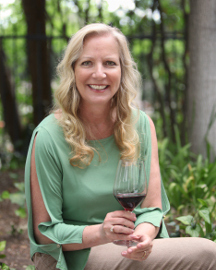 Nino Curbelo, Diplomático’s Export Manager in North America says, “We are honored to be chosen as a Wine Star Award finalist by Wine Enthusiast, a company so influential in the world of wine & spirits. For years Diplomático has prided itself in the excellence of our rums. From our unique and diverse distillation methods to our sustainable production processes, we strive to make rums that consumers can feel good about drinking. We are proud to accept this nomination as a testament to the quality of our rums,” said Curbelo. Rum Diplomático, a brand inspired by the character of Don Juan Nieto Melendez, is a super-premium rum hailing from Venezuela. Located at the foot of the Andes Mountains, the Diplomático Distillery (producing top-quality spirits since 1959) combines traditional methods with modern technology to produce the finest of rums. The production area boasts great conditions for sugar production including fertile lands, abundant water and favorable weather. 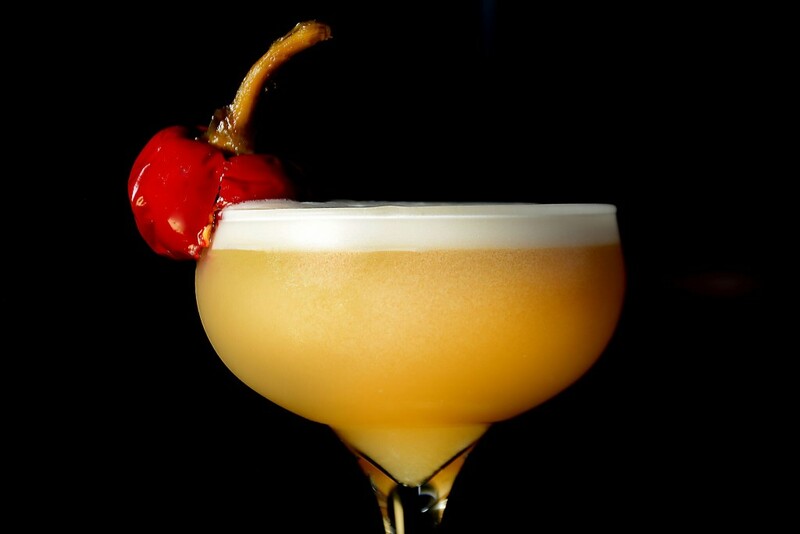 Their team of award-winning Master Blenders work diligently to create unique and complex rums. The product range consists of the New Tradition Range: Planas (aged up to 6 years), Mantuano (aged up to 8 years) and Reserva Exclusiva (aged up to 12 years), and the Prestige Line: Single Vintage 2002 and Ambassador, both are aged 12 years and finished in sherry casks for one and two years respectively. The 8th annual L.A. Loves Alex’s Lemonade Stand was an overwhelming success raising over $1.3 million for Alex’s Lemonade Stand Foundation, breaking last year’s record for the event. 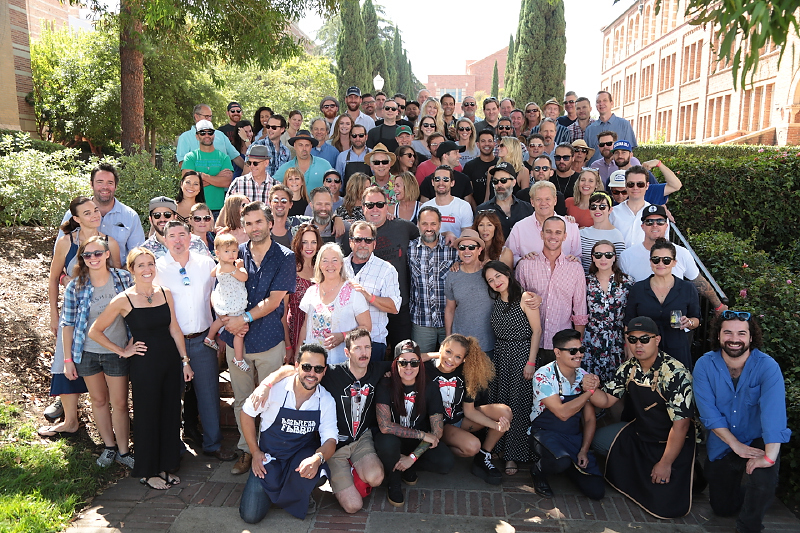 Located at Royce Quad on the campus of UCLA, the day was perfect for chefs and fans to come together to support childhood cancer research. More than 2,200 people, including more than 100 chefs, mixologists and vintners were on hand to raise funds and awareness for childhood cancer research. Inspiring speech by Jay & Liz Scott, Alex’s parents, and co-executive directors of Alex’s Lemonade Stand Foundation, and highlighting the importance of how we all can make a difference. Patrick Scott, son of Liz and Jay and older brother to Alex read a letter he wrote to his sister on the 13th anniversary of her death. Over 60 Young Investigator grantees who have dedicated their lives and careers to finding better treatments and cures for kids with cancer. Jimmy Kimmel and Molly McNearney – Jimmy Kimmel Live! Childhood cancer is a general term used to describe cancer in children occurring regularly, randomly and sparing no ethnic group, socioeconomic class, or geographic region. Childhood cancer extends to over a dozen types of cancers and a countless amount of subtypes. Just a few of these cancer types include: Ewing’s sarcoma, glioma, leukemia, lymphoma, medulloblastoma, neuroblastoma, osteosarcoma, retinoblastoma, rhabdomyosarcoma and Wilm’s tumor. In the United States, childhood cancer is the leading cause of death by disease in children under the age of 15. Every day, approximately 250 kids around the world die from cancer, accounting for 91,250 losing their lives to the disease every year. Alex’s Lemonade Stand Foundation (ALSF) emerged from the front yard lemonade stand of cancer patient Alexandra “Alex” Scott (1996-2004). In 2000, 4-year-old Alex announced that she wanted to hold a lemonade stand to raise money to help find a cure for all children with cancer. Since Alex held that first stand, the Foundation bearing her name has evolved into a national fundraising movement, complete with thousands of supporters across the country carrying on her legacy of hope. To date, Alex’s Lemonade Stand Foundation, a registered 501(c)3 charity, has raised more than $140 million toward fulfilling Alex’s dream of finding a cure, funding over 690 pediatric cancer research projects nationally. For more information on Alex’s Lemonade Stand Foundation, visit AlexsLemonade.org. Mezcal may be the oldest distilled spirit in the Americas, but has exploded in popularity only recently. 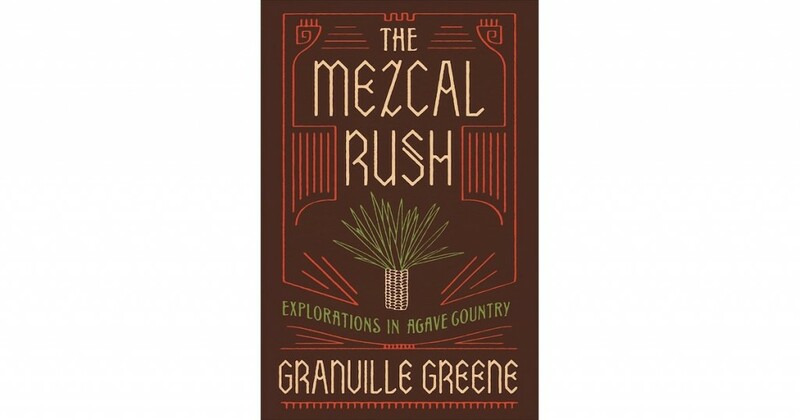 In The Mezcal Rush: Explorations in Agave Country (Counterpoint Press, 295 pages), Granville Greene vividly describes his quest through the Mexican highlands to learn more about the varied cultures, plants, and traditions surrounding the drink, which has become a craft cocktail darling. He soon finds that, unlike most high-end spirits, small-batch mezcals are typically produced by and for subsistence farming communities, where maestros mezcaleros distill their signature drinks using local agaves and artisanal production methods honed through generations of mezcal-making families. Greene visits remote indigenous villages in Oaxaca and Guerrero states, where the spirit is never mixed into cocktails and is reserved instead for consuming puro on special occasions—a liquid language celebrating community identity along with the diverse characters of numerous agave species. Greene joins the maestros in the arduous tasks of mezcal-making, as they harvest agave hearts from treacherous mountain slopes, roast them in underground pit ovens, grind them in rustic mills, and distill the fermented mash over wood fires through long nights under the stars. Ambient elements enter the process—the natural yeasts of a lime tree growing near a still, the unique minerality of the local spring water—as each mezcal becomes an individual expression of plants, place, and the artistry of its maker. Sipping a handcrafted mezcal, Greene comes to understand, is like being invited into someone’s home and allows us to transcend borders. Yet while visiting a cocktail convention in New Orleans and hip new mezcal bars in the U.S. and abroad, he finds an ongoing disconnect with the maestros, who have been swept up in a hot new booze trend in which they have little voice. Greene explores the dynamics of a cultural commodity undergoing a gold-rush style surge as a luxury export, and the consequent overharvesting that threatens agaves growing in the wild, as he finds the ancient spirit at a new crossroads. With illustrations by Jack DeLap. ABOUT THE AUTHOR: GRANVILLE GREENE is a graduate of The Writing Seminars at Johns Hopkins University. He has written for Outside, The New York Times, and many other publications. He lives in Santa Fe, New Mexico. Zacatecas, Mexico – Kimo Sabe, the award-winning, ultra-premium, and fastest growing mezcal brand, announced today its “Step Up to the New Taste of Agave” campaign – a 100,000 person, 10-city national consumer taste-test challenge –kicking off in Las Vegas in June. The challenge will pit Kimo Sabe, The New Taste of Mezcal against the best-selling ultra-premium tequila and a smoky ‘Oaxacan style’ mezcal. Additional cities selected for the taste-test challenge include; Los Angeles, Dallas, Austin, Chicago, San Francisco, Seattle, New York, Miami, and Minneapolis. 10,000 consumers will be targeted in each market. The public has a growing love affair with the agave spirit category. Studies show tequila consumption has doubled over the past 7 years, with mezcal being the fastest growing segment of that category. “Everyone who loves agave spirits will appreciate this opportunity to take our challenge and experience for themselves how Kimo Sabe is evolving the industry. Tasting is truly believing. Our rapid growth is creating opportunities for hundreds of agave growers in Mexico, who we are assisting in creating sustainable, organic, agave ecosystems that will last for generations. We proudly call this strategy Building Bridges – as it connects the Mexican agave growers to a generation of US consumers seeking their own defining liquor category,” states Ashley Kvamme, Co-founder of Kimo Sabe. Veteran agri-business flavor specialists Jim Walsh and Ashley Walsh Kvamme, who come from the premium chocolate business, started Kimo Sabe in 2014 with the goal to create high quality, artisan distiller flavor experiences of the agave plant at a price point for everyone to enjoy. The result has been award winning mezcals that are full of flavor, balanced and approachable, and have consistently garnered 90+ scores by leading industry critics. The Company has grown by 500% over the last two years and is outpacing sales growth of the leading brands in all agave categories. The Company expects its sales to double the entire mezcal category within 24 months. Kimo Sabe Mezcal is made from 100% varietal agaves of which there are 42 varieties, while tequila is made from one type. Each type of agave has its own distinct flavor, giving mezcal producers a greater ability to create their own unique spirit. Common distilling practices known as ‘Oaxacan style,’ have in the past yielded smoky mezcals which to date have had limited consumer acceptance. In expanding the appeal of mezcal, Kimo Sabe has developed a proprietary blend of many agave flavors, which is carefully blended and distilled, and finally enhanced with sound wave technology. This process harmonizes each molecule of the spirit – the result is the smoothest, most flavorful, agave spirit made today. Kimo Sabe is committed to funding the creation of sustainable, varietal agave ecosystems in Mexico. They partnered with the Government of Zacatecas, Mexico to launch a pro-social program that will fund the creation of 100 new agave farms supplying 1,000 new jobs in the state. 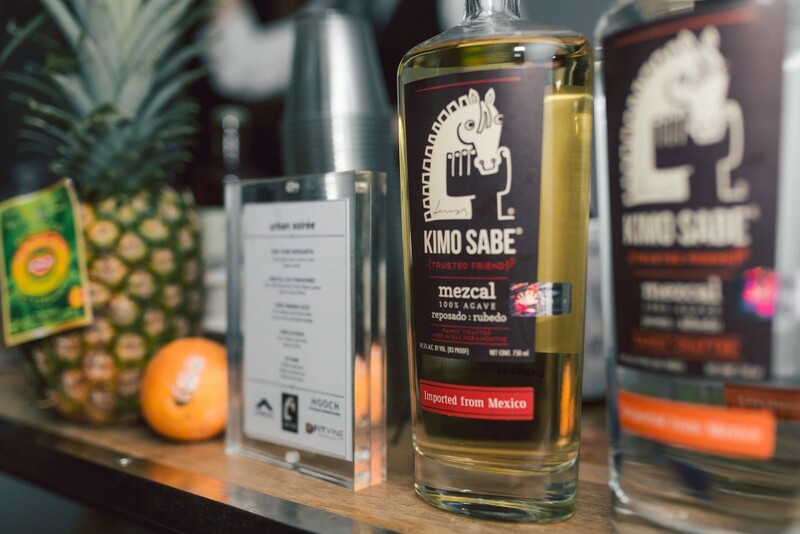 In March, Kimo Sabe became the official and exclusive mezcal of the SXSW Festival. Kimo Sabe is the title sponsor for all nationally televised episodes and live stream events of CBS Sports’ Poker Night in America. 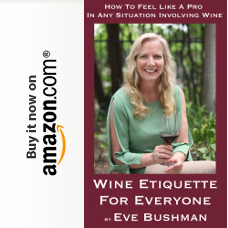 Ashley Walsh Kvamme was named one of the Top Women In Booze by Harper’s Bazaar Magazine this past year, and one of California’s top female entrepreneurs by Comerica Bank.